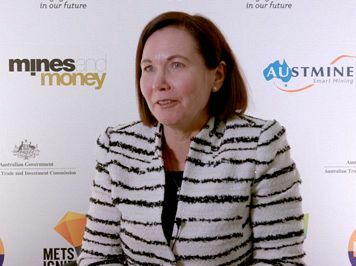 Newly-appointed Mining Council CEO Tania Constable has been championing nuclear power at a time when we should be discussing renewables, writes Noel Wauchope. WHAT BAD TIMING. Only in dictatorships – Russia and China – is nuclear power thriving. In the Western world, it's problematic due to costs and waste issues. As for coal, even China is working to phase it out. In Australia, renewable energy is going ahead in leaps and bounds. Our coal-loving Liberal Coalition Government is so on the nose, they'll be forgotten men within a few months. ‘Heatwaves proof positive Australia needs nuclear’?No, Tania, proof positive that Australia needs solar air conditioners. She seems unaware of the fact that nuclear power is highly water intensive and subject to shutdowns due to hot weather. So, it's renewable energy's fault that coal is not doing well? She goes on to enthuse about “baseload” power — coal, of course. But that's seen as a myth, nowdays, as reliable power is no longer synonymous with coal. Tania Constable: It does make sense to think about nuclear power and I think it's time to have that debate again. High power prices aren't going away and we've seen a trend toward cleaner energy. Nuclear has zero emissions. She doesn't mention the high costs of this advanced coal technology, needing government subsidy and the fact that it's not all that clean anyway. Ms Constable writes approvingly of nuclear power in countries around the world - not a mention of the financial problems of nuclear power development in UK and USA, and Japan too. Not a mention of the nuclear waste problems. There is now a family of new technologies — small modular reactors? But these reactors do not actually exist in a physically tried and tested operating form and are far from being deployed as Ms Constable implies. As to “leading the way on costs”, this is a pretty meaningless statement. Many experts have investigated this question, always coming up with the conclusion that these small reactors could be economical only if they were ordered en masse. This factor poses difficult problems in the market and taxpayer funding would be essential. The necessity for safety measures also runs counter to the need to cut costs. As for “zero emissions”, there remains the problem of the entire fuel cycle, from mining of thorium through transport, to the reactor and its waste disposal. Unlike sun and wind power, the fuel must continue to be mined and transported. Nuclear power is also behind the new generation of innovative nuclear start-ups, such as Bill Gates’s TerraPower and Transatomic out of MIT. Australia, with its educated workforce, established uranium mines, nuclear research and university sectors and strong non-proliferation credentials, would be a partner of choice for private venture capital-funded new nuclear energy. Let's look at this enthusiastic statement. First of all, Bill Gates has just had the door slammed on his TerraPower project. He's closed it down for now, but hopes to find a country that will back it. Secondly, Transatomic has also had a big setback. Its nuclear start-up folded, in disarray. This company was spruiked by an enthusiastic young woman, Leslie Dewan. The nuclear lobby seems to pick them for the poisoned chalice of propaganda work. "So no we don’t see a transition out of coal in the short, medium or even the longer term at this stage"